Holly Knitlightly: Adventures in Juicing: Part 9! Adventures in Juicing: Part 9! This just was reallllllllly good! I think pineapple is one of my favourite things to juice. For this juice I put in a bunch of kale, some mint (next time I would put more in. I just didn't have a lot, haha. ), some cucumber and a pineapple. This is one of my favourite juices, I think. I definitely suggest trying it out! So good. Kale is a rich source of the carotenoid and phytonutrient lutein, a natural antioxidant that can increase the health of both your eyes by blocking the potential damage that can be done by exposure to ultraviolet light from the sun. Lutein may also help improve the health of your skin, states the Lutein Information Bureau. Kale is also a substantial source of vitamin K, with 1 cup providing an estimated 1,327 percent of your daily needs of the vitamin. Vitamin K is most associated with providing your blood with the ability to clot in order to help stop the bleeding when your skin is cut or broken. 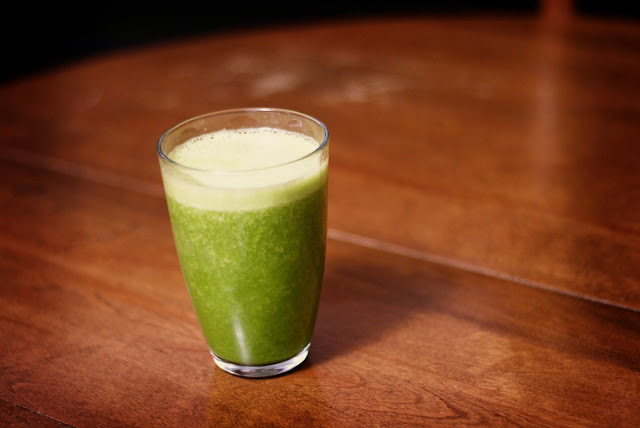 Juicing kale can also provide you with a substantial amount of vitamin A, with an estimated 192 percent of your daily value found in a single cup of kale. Vitamin A is essential for vision health, as well as maintaining healthy skin. 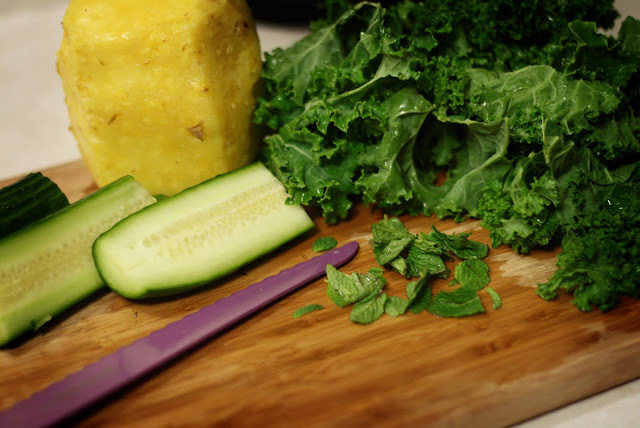 Vitamin C is also abundant in kale, which can be accessed through juicing this vegetable. A single cup of kale can provide you with an estimated 89 percent of your daily value of vitamin C.
Kale is also a rich source of calcium, which can be beneficial for those who need calcium sources outside of milk-based products. Calcium is essential for strong and healthy bones, and is needed for the contraction of muscles, the conduction of nerve pulses and several other processes in the body. Kale is packed full of other vitamins and minerals outside of those discussed, including manganese, copper, potassium, iron, magnesium, vitamin E, omega 3 fatty acids, vitamins B1, B2 and B3, protein, foliate and phosphorus. Pineapple and watermelon are my faaaavorites. I can't stomach more than one leaf of kale in anything. Crap. I just eat it and put spinach in all of my juices. Have you tried cilantro or parsley in your juice (separately?) I think they are such unexpected yums! Holllllyy you're making me want a juicer so bad!